This e-Book contains THREE separate packet tricks that can be combined together, or with other effects from the Go Fish Deck. #1 - The Lucky Fisherman, based on Al Cohen's Dots Impossible, teaches the young fisherperson how to find fish in a stream of blank cards that looks completely empty, but before the end, stocks up with enough fish to feed everyone. #2 - Before you can Catch-A-Fish, you have to have a Fishing Badge (or license). 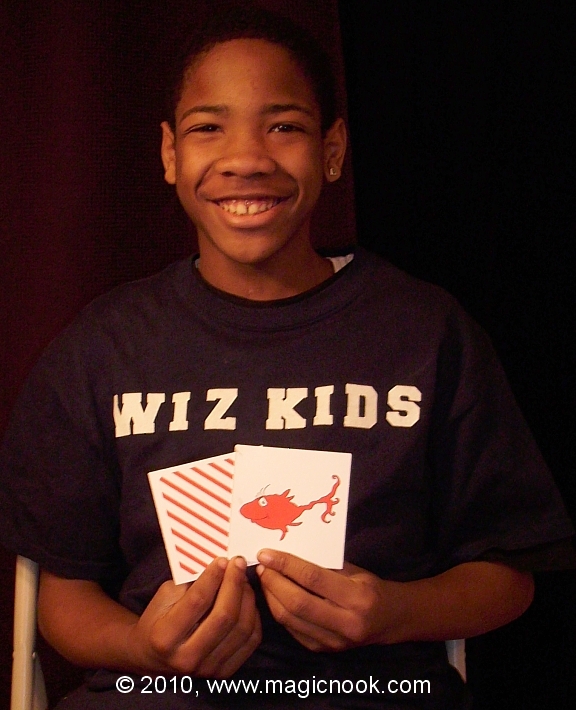 Wiz Kid Qua-Fiki shows you how to follow the fish to get the badge. This is based on ideas by George Hills and Edwin Hooper (Bunny Badge). #3 - Catch-Up! is based on Shiego Futagawa's Catch That Tiger, but with Qua-Fiki's simplified moves that make it a snap to learn. The story this time is about fish catching fish.